Recently, I was asked to utilized Facebook Live to shared with an awesome of group women from MoMs who Raise. This group was developed by psychologist and parenting expert Dr. Shadeiyah Edwards. I was honored to be on this panelist of women during Happy Hour with Dr. Edwards. The topic that I presented on was how our thoughts and feelings affect our interactions with ourselves and others. At times, our interaction can be Petty and we know that they are Petty. These harmful thoughts are a reflection of how we are feeling on the inside. First, we addressed varies definitions of Petty Thinking. Secondly, we explored the various Automatic Negative Thoughts (ANTS). Lastly, we discussed ways to challenge negative thinking to decrease our petty thinking and move towards positive thinking. We can all admit that we have been Petty in our thinking with others and also ourselves. So let’s take a look a few different ways of how a person engaging in petty thinking is defined. may participate in relatively worthless or unimportant (ex. petty cash is cash kept on hand for very small purchase). may get caught up in a small details, becomes angry when someone accidentally steps on your foot. may takes a small subject and blow it out of proportion. may make something otherwise insignificant into something bigger to suit their own agenda. 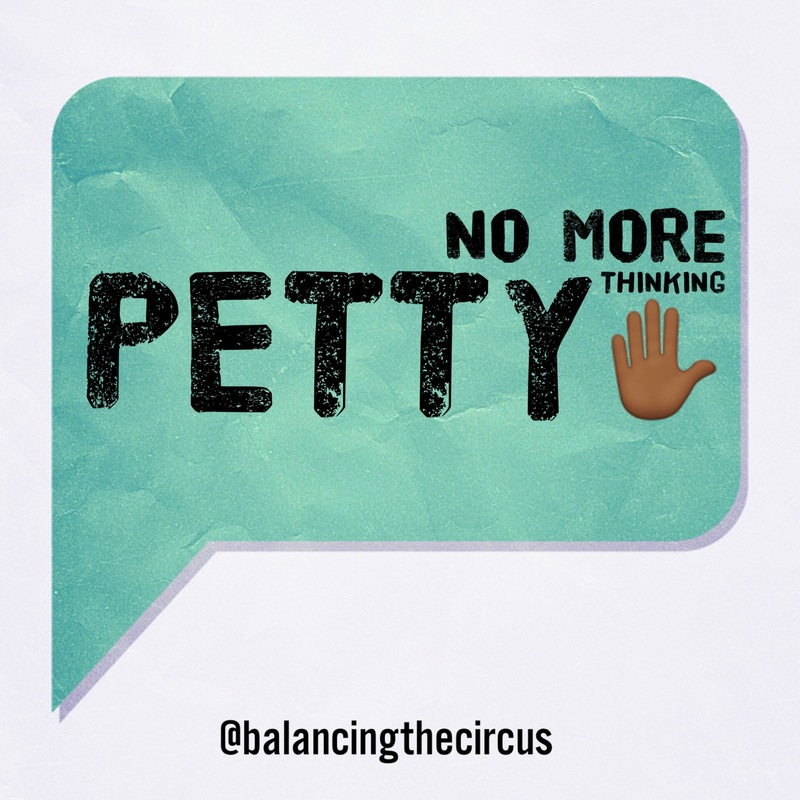 Now that we have the different definitions of Petty, let’s connected with what The Board of Directors in mind that pushes out our Automatic Negative Thoughts when we engaged in Petty Rants. Fortune Telling – When we are anxious, we are predict some bad event as the outcome. We might not be completing aware of what it is, but it invariably is there. Examples includes, “my mind will go blank during my presentation,””I won’t pass the test,””I won’t pass my work evaluation,” ” I will never finish this book.” Sometimes the fear is something specific (failing a test) and sometimes it is more vague. Other times, what we ar predicting is anxiety itself. Predicting something already before the test or interview, such as I will blow it. We over-estimate the likelihood that the bad event will happen. Catastrophic Thinking – This Automatic Negative Thoughts can be described as Fortune Telling on steroids. We predict not only will the bad thing happen, but the outcome will awful and unbearable. If my thoughts are, “if I don’t get a the job, I’m going to end up homeless” you may be engaging in catastrophic thinking. Like fortune-telling, not only will the bad thing happen, but the consequence will be terrible. We over-estimate the consequences of the bad event and under-estimate our ability to cope. Minor setbacks, frustrations and mistakes are often seen as more awful than they really are. Mind Reading – We assume that other people are having negative thoughts about us. At an event/party are thoughts are “these people don’t like me” or if you have a give a brief presentation to co-worker (or event Facebook/Instagram Live), you think that your audience will be able to tell that I am anxious and make a fool of ourselves. When we think this way, we turn every social event into a performance in which we must control the thoughts of other people ( which is impossible). Without checking fact, we automatically think it negatively apply to us. All or Nothing – Thinking in rigid black or white categories. If we don’t score 100 on exam/test/presentation, we think we are a complete failure. If someone doesn’t like something about us, we believe they dislike everything about us. This thinking pushes us to practice perfection which is not healthy or realistic. All-or-nothing thinking is the tendency to judge things in extreme or “black or white” categories. It is irrational because in reality things are never completely one way or the other. You will always be afraid that if you dont achieve perfection (which is one extreme) you will be complete failure (which is the other extreme). Another example includes when eat one spoon of ice cream while changing your eating habit, so you decide to eat the whole gallon of ice cream. Mental Filtering – We focus on the most negative aspect of a situation and fail to notice what might be most positive or as least neutral. For example, you receive a number of positive responses on your presentation, but all you can focus on is the one critical response. You focus on undesirable trait and lose sight of positive qualities. If you have free time, you focus on how bored you are and don’t look for positive things to do. When stuck in heavy traffic, you focus on how awful it is versus thinking about what a blessing it is to have a car, with air or heat, power window, gas, leather seats etc or the fact you don’t have to take the bus. We have to shift from the glass half empty to glass half full approach. Shoulds are S#&*s – When we think this way, we are requiring the world, other people and even ourselves to live up to our expectations. It is a willingness to accept what it. I am angry at you because you “Should” have remembered my birthday. I feel guilty and inadequate because I “should” be making more money. “should’ thoughts about other provoke anger and “should” thoughts towards other provoke guilt. We have to practice reframing ourselves from using shoulds to motive ourselves and incorporate “want to” statement to help us achieve our goals. Labeling/Judgement – We apply negative labels towards ourselves. The list is endless such as lazy, stupid, rude, insensitive, overly sensitive and so on. In reality, labels are not accurate because no one is always lazy, stupid, rude etc. When we label ourselves, we feel guilt or inadequate. When we label others, we feel angry. Yes, I won the tennis match, but my opponent had a bad day. Yes, I was accepted into many colleges, but I didn’t get into the best ones. Yes, I got the promotions, but there wasn’t much competition. Yes, I did good, but it wasnt good enough. Emotional Reasoning – We believe that our emotions are an accurate reflection of reality. In the middle of a panic attack, I feel like “I’m going crazy” or “I have to get out of here” I feel like a loser, I must be one. I feel rejected, therefore I have must have been rejected. Since I feel guilty, I have must have don’t something wrong. I’m terrified about going on planes, therefore they must be dangerous. Personalization and Blame – Personalization occurs when you hold yourself personally responsible for an event that is not entirely under your control. When a woman received a not that her child was having difficulties at school, she told herself, :this shows what a bad mother I am,” instead of trying to pinpoint the cause of the problem so that she could be of help to her child. When another woman’s spouse beat her, she told herself, “If only I were better in bed, he wouldn’t beat me.” Personalization lead to guilt, shame and feelings of inadequacy. Some people do the opposite. They blame other people or their circumstances for their circumstance for their problems, and they over look ways that they might be contributing to the problem. “The reason my marriage is so lousy is because my spouse is totally unreasonable.” Blame usually doesn’t work very well because other people will resent being scapegoat and they will just toss the blame right back in your lap. It’s like the game of the hot potatoes – no wants to get stuck with it. In efforts to start moving from Petty to Positive or at neutral thinking we have to start working on changing our thoughts. If you found yourself identifying with the 11 Automatic Negative Thoughts (ANTs) discussed above, practice developing neutral response and work your way to replacing your neutral responses with Positive responses. If you are looking for a jump-start, try reciting these affirmation daily to practice positive thoughts. Next time you find yourself falling into a Petty Rant, ask yourself these two questions: Will this matter 5 minutes from now? Will this matter 5 years from now? And if you want to take a step further when before you start a rant, Get to the real issues? Consider if it is really bothering you? Utilize a softer approach or become neutral in your response. Lastly, be patient with yourself and watch your thoughts transform from Petty to Positive. Criticism can be defined as the expression of disapproval of someone or something based on perceived faults or mistakes according to Merriam-Webster dictionary. However, no matter how you define it, it can be a tough pill to swallow. In addition to criticism being a tough pill to swallow, it can be hard not to react instantly, deny everything, blame someone else, counter attack or storm off. In some cases, you lose control and unable to listen objectively. Listen to what the other person is saying. Resist the urge to interrupt or defend yourself or do anything that will get in the way of really listening. At that moment, your purpose to understand what the other person is saying and what he or she is criticizing you about. Reflect and Clarify. Before you respond to the accusation, check what is is you think the other person is accusing you and what you are feeling. For example, “you are saying that I’ve not done what I promised I would do? or “So you are embarrassed about what I did to Sherry?” Take time to recognize the feelings of the critic and you to the set the space for a better understanding. Respond. Once you cleared what the criticism is and why the other person is criticizing you, take a moment (insert breathing here)! Then think about how you feel and how you are going to respond. Learn to sit with the discomfort of an initial emotional reaction instead of immediately acting or reacting. You may fully agree, partial agree and refute what was being said to you. Give clear examples of what position you stand on and provide clear evidence supporting your point of view. If you can’t respond immediately, make an appointment to see the individual, set up a phone interview or email them. When you can’t respond. If you have received criticism and you haven’t had an opportunity to respond to the other person (such as they hung up the phone, shared the criticism from someone else). Do not replay the criticism over and over in your mind, the more time spent on dwelling on what someone dais, the less time you have to do something constructive with it. Write you feeling down, when your feelings are written down you will be able to observe your thoughts. Do not counter attack. Stay in the present. Do not defend yourself by bringing up offenses the other person may have been committed in the past. Focus solely on the other person’s grievance. Agree to disagree. If you can resolve the situation, all well and good. But if not, learn where to draw a line and agree to disagree. Look for seeds of truth in the criticism . 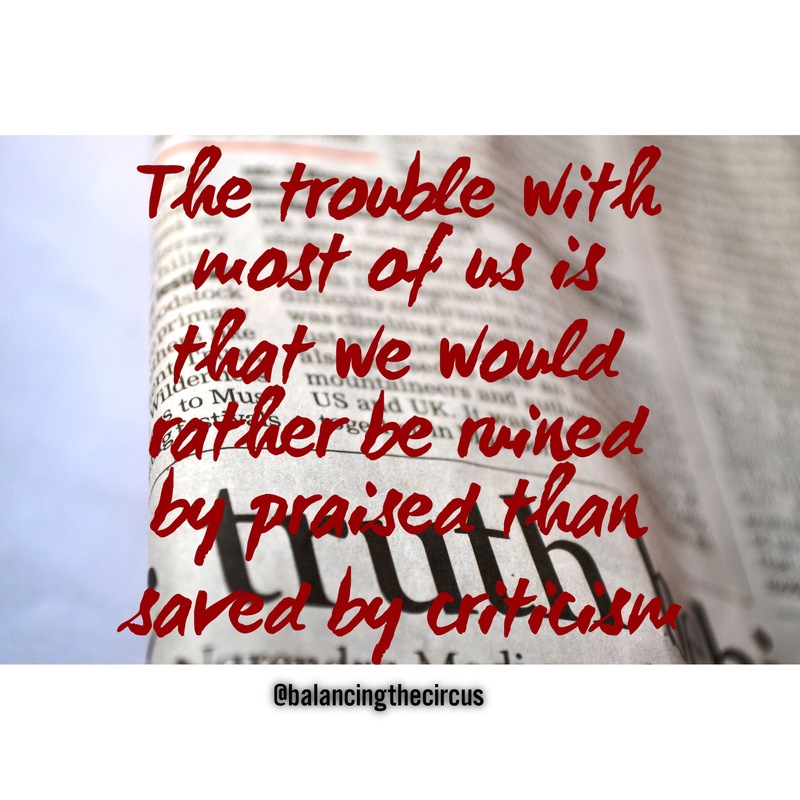 Criticism opens you up to new perspective and new ideas that you may not have considered before. It’s not easy to take an honest look at yourself and your weakness. Practice how to sit with the discomfort of an initial emotional reaction instead of immediately acting or reacting. You might disagree with the other person, but there is something to learned from the situation. It is time to get in Perspective. Does it really matter? Does it matter that your pattern thinks that you loaded the dishwasher all “wrong.” The reality of it is, we can’t please all the people all the time. It can be liberating to let people think whatever they want, they are going to think whatever they want anyway. Accept it, Let it go!!!! 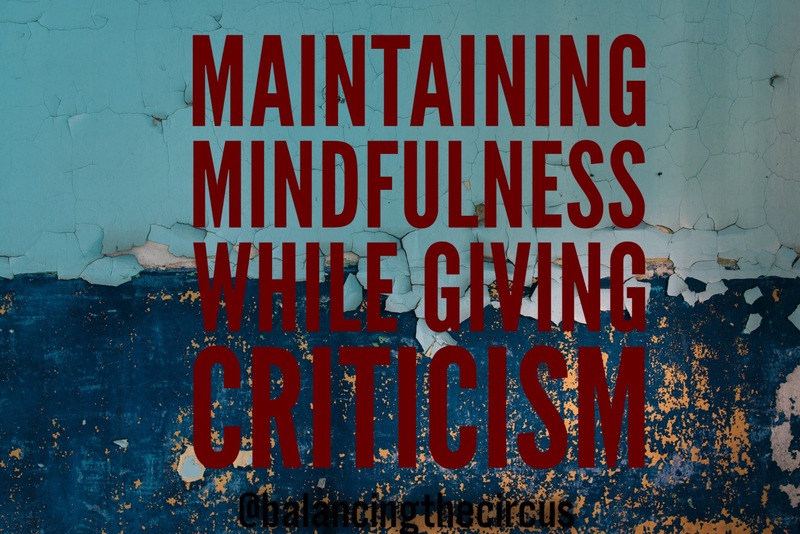 I want to acknowledge the way we respond to criticism is dependent on various factors such as who giving it and why, but whatever or whoever has criticized you, there is a mindful way to handle it. After implementing these 8 steps, I would love to hear your feedback on the use of these steps. Don’t forget to return for next week’s blog coving, How to Give Criticism? This week has been decided to bringing awareness to Domestic Violence. We have addressed Statistics, Warning Signs and Reasons why victims stay. Now, these are the 5 thing that you can do help a friend who is in a abusive relationship. 1. Listen. Let them talk. Believe what you hear. When you are abused, your abuser tells you that you are overreacting and it is your fault. So it is hard to assess how bad the abuse is. You believing them will help them get a more robust sense of self. It will build their confidence and help them make important decisions. 2. Talk to them. Negative voices are loudly repeating in their heads. They need kindness and compassion. Be patient. Tell them it is not their fault, that they are worthy and loved by you over and over. 3. Help them plan. It is not easy to “just leave.” Leaving can be extremely dangerous. It may take months or a year to plan. Be patient, think a long time over every idea and possible consequence to find the safest answer. As dangerous it is to live with an abuser, it is often more dangerous to leave. 4. Build a community. Leaving an abusive relationship is very complicated. It is not something to take on without support. Self-doubt is huge and can be immobilizing. Community support is essential. Surround them with people who love them and see them. 5. Call the National Domestic Abuse Hotline 1-800-799-7233 to find resources near your the person who is need of services. In efforts to continue to bring awareness to Domestic Violence in the United States during Domestic Violence Awareness Month (DVAM), Balancing the Circus will share an explanation to why victims of domestic violence struggle leaving. I hope this allow others to reduce the stigma, increase awareness and direct others to support. After reading the ten reason, come back tomorrow to learn how to be of help if you know someone who may be a victim of domestic violence. Fear in General. Often they have been cut off from all their resources and have lived under threat and control, not being able to rely on their own decision making. Low self-esteem. People who have been emotionally beaten down over a period of begin to see themselves as failures at everything they do. Offenders reinforce they belief to maintain their control. Self-blame. Victimized people blame themselves for the abuse. This is constantly reinforced by the offender who blames them for the abuser’s violence behavior. Holding the family together. Women are raised and socialized to see themselves as the center of family cohesiveness, such as keeping their family safe and together. Fear of being crazy. When you are told you are crazy often enough you begin to believe it. As a result, victims questions their ability to cope with all os the responsibilities of the outside world. Dependence. Victims of Domestic Violence have likely had their world made very small so that they could be controlled. As a result, they lack experience in making their own decision and acting independently. Isolation. One of the most common things done to victims of domestic violence is to isolate them from family friends, physically and emotionally. The more isolated they are, the less likely they will seek help or be aware of the help that is available in their community. Traditional Values. Traditional roles are in conflict with separation and divorce and support the notice of keeping the family together at all cost. There may also be a strong religious influence and unsupportive family members that reinforce a victim’s belief that she must stay in abusive relationship. Learned Behaviors. When you live in an isolated and abusive environment, over time the experience take on a normalcy because there is nothing else to compare it to. When combined with lack of belief in oneself, the victim may come to the belief that the situation is impossible to change. This may be further embedded if the victim grew up in an abusive home. The honeymoon stage and promise of change. Victims often love their partners and want a good marriage and a stable family life for their children. With the promise of change is the hope that all of these things are possible. In the hopes that the promise of change will be kept, the victim will forgive and give the relationship about change for a new beginning. What can be done? Deal with the what is, not the what if. If things were going to change on their own, they would have. If there is to be any chance of hope for change, for the victim and the victim’s family, it is necessary to take action. Call the National Domestic Violence Hotline at 1-800-799-SAFE (7233). 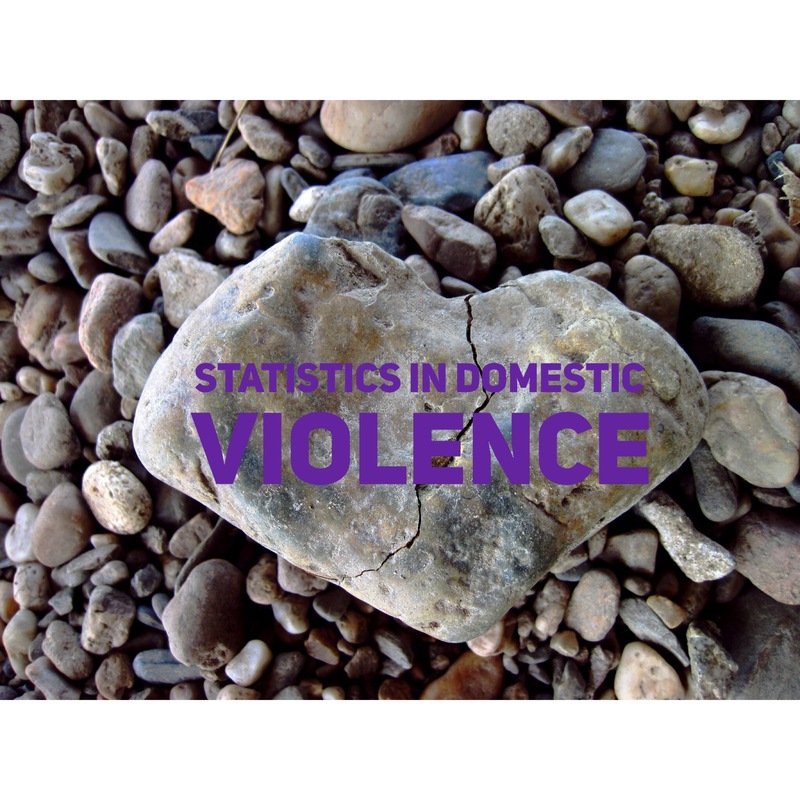 Check out previous blogs for Domestic Violence Awareness Month on Statistic and Warning Signs. Please bring awareness and share this information with others. REMEMBER that you are not alone, you are not to blame and help is available. • In America, one women is fatally shot by a spouse, ex-spouse or dating partner every 14 hours. 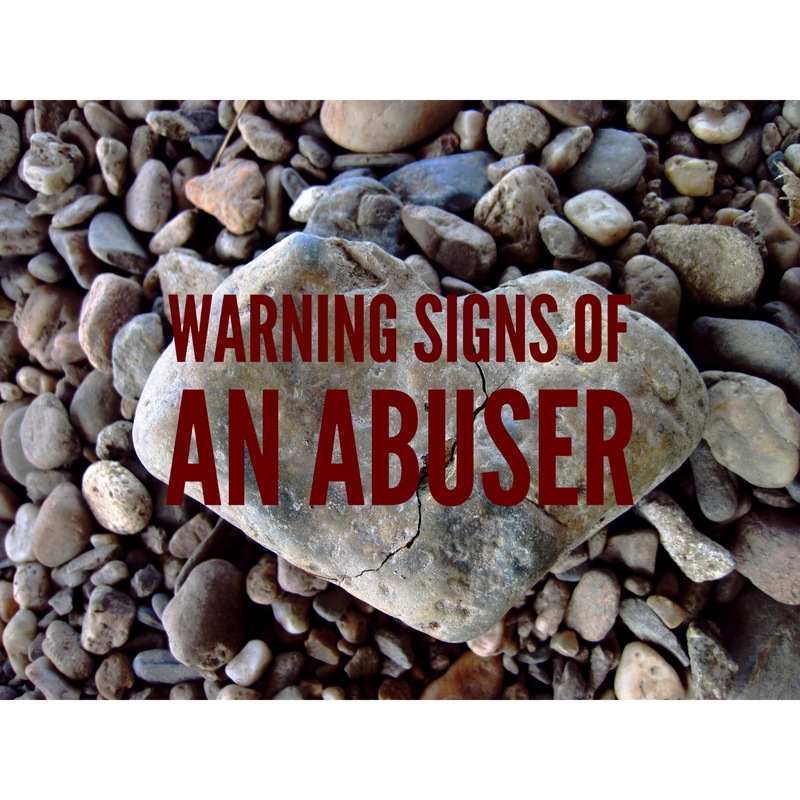 Learn how to spot the signs and recognize the warning of an abuser.